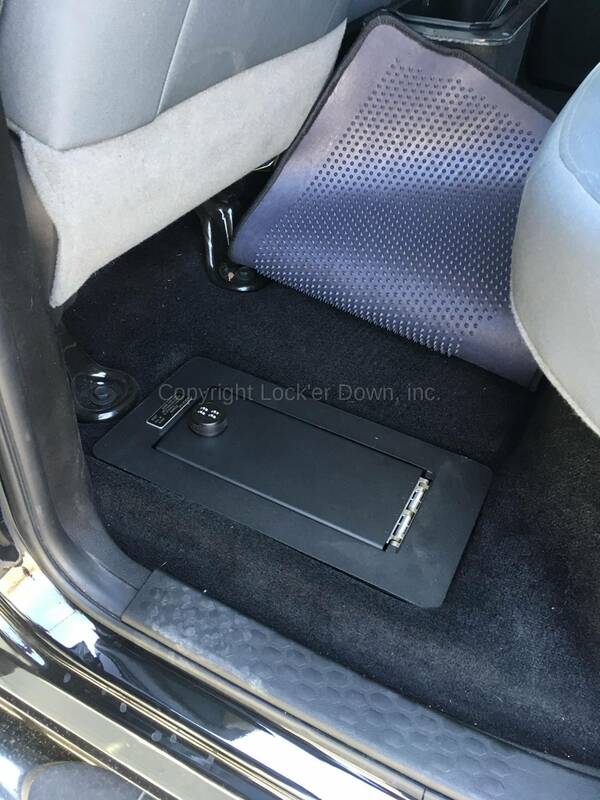 This is our EXxtreme version of our popular Dodge Ram Floor Safe Electronic lock not recommended if passengers frequently ride in rear seat. This vault was designed to replace the rear floorboard storage compartment for the 2009 to 2018 Dodge Ram crew cabs . Made from 12 gauge cold rolled steel, this safe replaces the plastic factory storage compartment with a high quality safe. 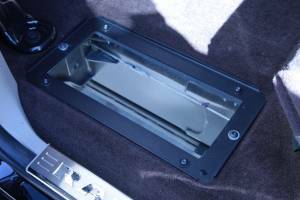 The safe is 9" deep like the factory compartment, allowing highly secure storage. 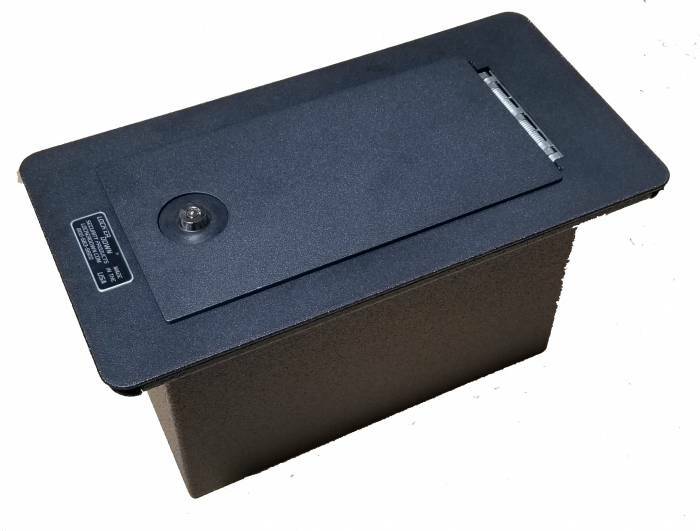 This model is available with several lock options, but a key lock is recommended to lower the profile height. Please choose lock before adding to cart. This unit can be installed in the floor of a van or motorhome.